Romeo and Juliet set in Queensland's sugar cane fields in 1948, as the daughter of an Anglo-Australian family falls for an Italian immigrant against the wishes of her family. 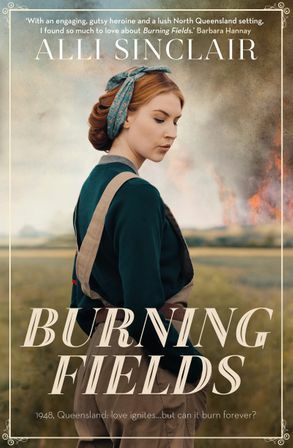 Rosie Stanton finds it difficult to return to the family farm after years working for the Australian Women's Army Service. Reminders are everywhere of the brothers she lost in the war and she is unable to understand her father's contempt for Italians, especially the Conti family next door. When her father takes ill, Rosie challenges tradition by managing the farm, but outside influences are determined to see her fail. Desperate to leave his turbulent history behind, Tomas Conti has left Italy to join his family in Piri River. Tomas struggles to adapt in Australia–until he meets Rosie. Her easygoing nature and positive outlook help him forget the life he's escaped. But as their relationship grows, so do tensions between the two families until the situation becomes explosive. When a long–hidden family secret is discovered and Tomas's mysterious past is revealed, everything Rosie believes is shattered. Will she risk all to rebuild her family or will she lose the only man she's ever loved?